National Hunger & Homelessness Awareness Week is held annually the week before Thanksgiving. 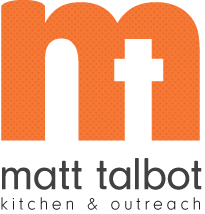 Last year Matt Talbot Kitchen & Outreach kicked off Hunger & Homelessness Awareness Week by announcing a plan to find stable and permanent homes for those dealing with chronic homelessness and guide them in living fulfilling lives. One year later the results of these efforts are positive and exciting. A grant from the U.S. Department of Housing and Urban Development allowed Matt Talbot to provide permanent supportive housing to 12 individuals and 3 families who were previously chronically homeless. Matt Talbot’s Landlord Liaison Program (LLP), which started in August 2016, has secured housing for 54 homeless individuals. Overseen by a Housing Locator, the LLP works with landlords and property managers to provide housing to the people who may not meet some of the current rental agreement criteria, and ensures tenants and property managers get support and assistance throughout the rental agreement. National Hunger & Homelessness Awareness Week (November 11-19, 2017) is held each year the week before Thanksgiving. This is a time for us all to think about what we are thankful for, to share our compassion with neighbors who are experiencing homelessness, and work toward a world where no one has to experience Hunger and Homelessness.